Everyone loves a classic cheesecake but this Caramel Apple Cheesecake sends you over the top with great flavor sensations. It combines two classic desserts into one decadent luxuriant treat that will impress your friends and family at any gathering. 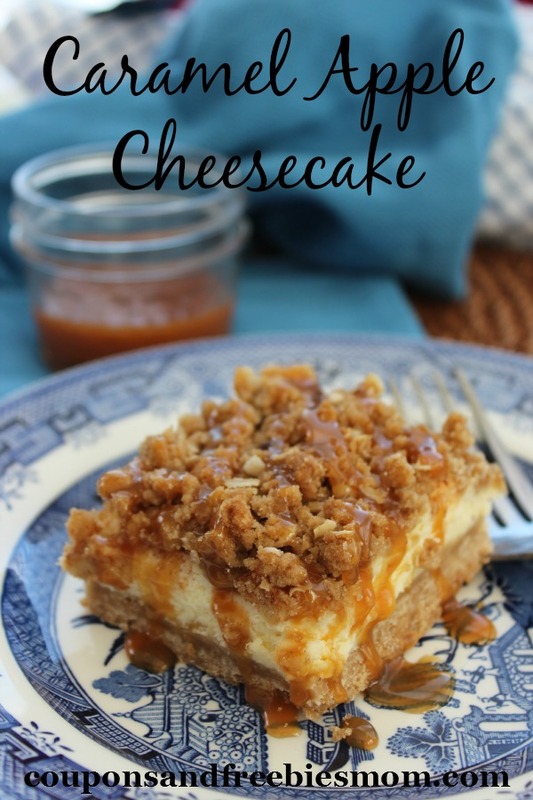 Make this wonderful cheesecake and share with the ones you love! 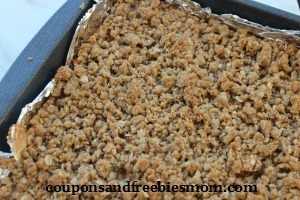 Line a 9X13 baking pan with aluminum foil be sure to leave overhang on all four sides. Add flour and brown sugar to a medium sized bowl. Add cream cheese, vanilla and Sugar to a large bowl. Add eggs to mixture 1 at a time mixing to combine. Add Apples, sugar and cinnamon to medium sized bowl. Mix together until apples are coated well. Sprinkle apple pieces evenly over cream cheese mixture. 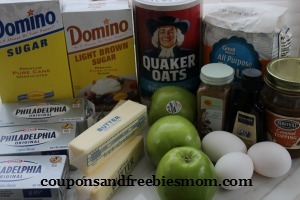 Add brown sugar, flour, quick oats and softened butter to a medium sized bowl and combine well. Sprinkle topping evenly over your apple layer. Bake for 45-60 minutes. Watch for filling to set (I do this by slightly jiggling the pan. Allow to cool and then place in refrigerator. I let mine set overnight. Remove from pan and cut into 16 even sized bars. This dessert takes a little more effort than our typical recipes but it is well worth every second spent. A Caramel Apple Cheesecake is sure to win the hearts of those you love and impress any guest you have at your next dinner party. Make sure to check out all of our dessert, entree and treat Recipes we share daily!